Anyone who sews (especially quilters) will tell you, “You can never have too much fabric” and I’m totally in that camp. Unfortunately, I’ve been somewhat manic in my sewing over the past couple of years, going from quilting, to sewing fashion garments, to machine embroidery. While all of them might be in the same section at Hobby Lobby or JoAnn’s, and admittedly the skills can overlap somewhat, the fabric and notions for each are totally different. Early in my quilting days, I bought cheap cotton fabric because I was too inexperienced to know the difference. 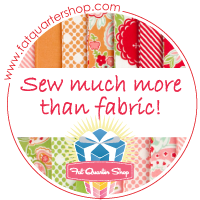 However, for the past many years, I’ve been a fabric snob buying only high-end when it comes to quilting cottons and I have a pretty healthy collection. Quality fashion fabric on the other hand is OUTRAGEOUSLY priced (like $26+ a yard – and I need 3 yards for a dress) so I was buying cheaper fashion fabric at Hancock’s or JoAnn’s and adding all kinds of crap to my stash. And worse yet? I’d hold on to crappy scraps when I finished a garment because “I might need them”. Really? When? This really came to a head when my shelves came crashing down last month due to the weight of the stuff on them. I call it My Earthquake. The top shelf was all tubs of fabric and scraps. And of course, what disaster wouldn’t be complete without PINS!!! Magnet anyone? So…if you look back at the first photo, there are tubs stuffed with fabric under the table, a pink 3-drawer behind the tubs stuffed with fabric, fabric in the 4-drawer rolling white IKEA cart under the table, and fabric on multiple shelves on the white shelving unit. I have fabric coming OUT OF MY EARS!! I haven’t even mentioned the closet. Ugh. My Earthquake happened on a Tuesday and I had to take a professional exam on Thursday that I had been studying for for months. No kidding. And I was staying home from work on Wednesday for final cramming. When I saw the room Tuesday night, I literally said, “I hear you God” and calmly reached over, turned out the light, and shut the door. I vowed to tackle it the following Saturday. Had the room been intact, I’d of been distracted. Needless to say, I passed! I ended up with two full white trash bags filled with lousy fabric…and that was just from my rolling cart under the table. I didn’t even get to the rest of it. I’ll do a section at a time and by the end of the month, it will be finished. I’m a firm believer that 15 minutes at a time results in a huge reward. And I can do anything for 15 minutes! Thanks #Flylady ! My new blogging buddy Angie, from OverTheKitchenCounter.com has my dream set up below. She has inspired me with her awesome organization! The rolls of batting under her cutting table gives me chills! Like happy dance, giddy, stupid willies. And I sooo have that book, Piece in the Hoop, 20 Quilt Projects + 40 Embroidery Designs, to make the blue embroidered chicken quilt on the end of her table. It’s officially in the queue. Don’t you feel at-peace just looking at this glorious room below? My Earthquake – and Angie – have also inspired me to abandon fashion sewing. It really isn’t my thing and I’ve realized that most of the stuff I make I’d never buy in a store. I have a horrible time with fit and why buy $100 worth of fabric, pattern, and notions when I can buy a gorgeous dress that fits perfect for less than $50 at Dress Barn? Alterations and repairs? Sure. From scratch? Nope. That was my mom’s gig…and I’ve come to the conclusion that it’s just not mine. So I’m going back to my love, Quilting. I’m going to the show in Houston on Nov 6, 2016 hopefully to bring home a floor model Grace frame and I’ve found a vendor that can upgrade my Tin Lizzie Sit Down so she has handles and can go on the frame. Hubs is on board to convert the 15 x 20 screened-in back patio into a fully enclosed quilting studio. Don’t I love that man? 🙂 Now what do I do with Dolly? I guess she’d make a great Halloween decoration as a headless something-or-other. OK, so this is kinda gross. But I’m the wife of a Southern man with a chewing habit. As in dip, chew, tobacco, etc. But hey, I married him like that so I knew what I was getting into. At least he uses herbal (non-tobacco) pouches (not loose leaf or sand) and I force him to the dentist annually for a gum check. So far, so good. So what’s a Southern wife to do? Re-purpose and re-use! I found a fabulous use for those used round dip cans. Used rotary blades! I used to really fret about putting old blades in the trash and accidentally slicing my fingers to ribbons when emptying the sewing room trash basket. Have you heard of this? THIS IS AWESOME! If you sew, and your friends and family look at your stash and say, “What is this for?” or “What do you do with that?”, then #stitchingsanta is for you. It’s a fun gift-giving experience for sewers and those who knit or crochet. Sheila is my blogger buddy from across the pond, (Sewchet), and she runs the linky party and manages the participants. She explains the #stitchingsanta process like this: “It’s a Secret Santa with a difference aimed at all the like-minded crafty folk here on the internet – YOU! So basically, everyone who wants to participate will be paired up with a like-minded gift recipient and the gift limit is $15 (US) not including postage. Sewchet will (try to) match those in the same country to minimize postage costs too. All she asks, is that you blog about your participation (like I’m doing now), what you’re giving to your recipient, and what you received. Once you get your gift recipient’s info, you’re encouraged to lurk their blog to learn about them and their interests. I think it’s just wonderful to open a true surprise on Christmas morning so I’m all in on this. I hope you join up too! And who knows, you might make a new blogger friend in the process! Win-Win! !